Thomas Russell ("the Man from God knows where") was among the founders and a leading member of the United Irishmen. He was born in Drumahane, County Cork on 21 November 1767 and, following his family tradition of military service, joined the army in 1973 and was posted to India. He returned to Ireland in 1776, on half pay and continued his studies in science, philosophy and politics. In July 1790 he met Theobald Wolfe Tone in the visitor's gallery in the Irish House of Commons and they became firm friends. In 1790 Russell resumed his military career as a junior officer in the 64th Regiment of Foot and was posted to Belfast. As an officer of the garrison, Russell entered socially into the circles of the emerging professionals and businessmen. With his keen mind and radical ideas, Russell was soon drawn to the McCrackens, Simms, Templetons, Nielsons and other families who were to play a prominent role in the United Irish movement. With them he developed ideas of parliamentary reform, to include the bulk of the people, and Catholic emancipation. By July 1791 Russell was out of the army and attending a convention of the Whig Club in Belfast to mark Bastille Day. The convention was addressed by William Drennan, who proposed a brotherhood that would "go further than speculate or debate … and come to grips with practicalities." He advocated co-operation with the increasingly radical Catholic Committee, in Dublin, in the pursuit of political and social reforms. Russell told Tone of the Belfast developments, and within weeks Tone published his Argument on Behalf of the Catholics of Ireland. Aimed principally at the Ulster Dissenters, Tone's pamphlet called for unity, fraternity, and tolerance, without which the government would "play upon terrors of Protestants, the hopes of Catholics and, balancing the one party by the other, plunder and laugh at the defeat of both." The Argument had a profound effect on its intended audience. 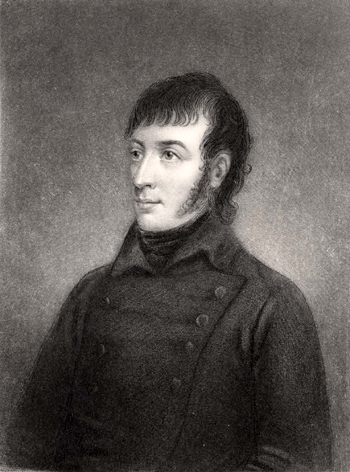 Tone and Russell were invited by the Belfast radicals to assist in the task of establishing the proposed brotherhood, and on 18 October 1791 the inaugural meeting of the Society of United Irishmen took place, with twenty-eight people present. The society's three main aims were constitutional reform, union among the Irish people and the removal of all religious disqualification. Dublin quickly followed suit, and on 9 November, in the Eagle Tavern, Eustace Street the Dublin Society of United Irishmen was formed. The movement quickly developed a strategy of spreading its ideals by means of leaflets, newspapers, ballads, "catechisms," and travelling emissaries. The Northern Star of Belfast was especially successful, both commercially and politically. The aim of Irish independence from Great Britain was a later development, when it became clear, through the Irish government's brutal repressive measures, that reform was not possible. That momentous decision (often taken to herald the birth of modern Irish republicanism) was taken in June 1795 on Cave Hill above Belfast by Wolfe Tone, Henry Joy McCracken, Thomas Russell, Samuel Neilson and a number of other United Irishmen. Russell's liberal views were tested to the full when, having retired from the army (he had to sell his commission to repay a debt for which he had been guarantor), he was appointed Seneschal (magistrate) of the Manor Court of Dungannon in December 1791. He only lasted nine months. R.R. Madden's 'Memoire of Thomas Russell' in his work United Irishmen 1846 records a letter to Tone in which he says that "he could not reconcile it to his conscience to sit as magistrate on a bench where the practice prevailed of enquiring what a man's religion was before inquiring into the crime with which a prisoner was charged." An impressive feature of Russell's stance on freedom was its universal sweep. He made clear his anti-slavery views on more that one occasion. While at Dungannon he drew impassioned attention to the abuse in the Northern Star on March 17, 1792. An editorial comment took the less generous view - agreeing with Russell but pointing out the immediate necessity to liberate three million slaves in Ireland. Russell did not make that distinction. From his position as librarian to the Society for the Promotion of Knowledge (later to become the Linen Hall Library), to which he was appointed in February 1794, Russell took an active part in organising the United Irishmen and by 1796 he was their commander in County Down. He was arrested in that year and lodged in Dublin's Newgate prison and as a consequence he took no part in the Rising of 1798. In March 1799 he and the other state prisoners were transferred to Fort George in Scotland, an extensive fortress some miles north of Inverness. During his imprisonment he was never charged with any crime, being, in effect, a political prisoner. He was released in June 1802 and transported to Hamburg. From Hamburg Russell made his way to Paris where he met Robert Emmet who was planning another insurrection. Russell returned to Ireland in March 1803 to organise the North. He soon realised the hopelessness of the cause when he failed to raise forces in the subdued County Down. When Emmet was arrested in Dublin, Russell went to his rescue but was captured and arrested. Russell was brought to Downpatrick Gaol and tried for high treason with three local men, James Drake, James Corry and Michael Maguire. Found guilty on the evidence of many local witnesses, he was hanged and then beheaded at the gate of the gaol on 21 October 1803, one month short of his 37th birthday. Following his execution he was buried in Down Parish Churchyard where Mary Ann McCracken, sister of Henry Joy McCracken (executed in 1798) and friend of Russell, arranged for a simple memorial that still remains. All it says is "The Grave of Russell"